When I was six, my father, mother and I moved to Haines, Alaska. We lived with a clan of the Tlinget Native American Indians. I was adopted into the tribe and my Tlinget name is Dok-du-Yik. I totally enjoyed the cultural immersion experience. 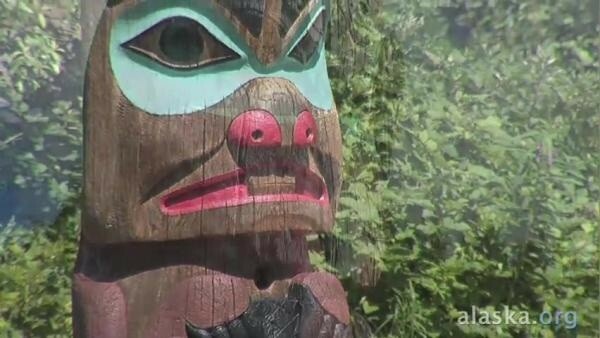 I fondly remember the various Pacific Northwest native designs, especially the Totem poles. Totem poles are an important part of Pacific Northwest American Indian tribes like the Tlinget. and Chilkat that I lived with and also the Kwakiutl, Haida and Tsimshian. Autumn always reminds me of them. As a teacher and homeschool parent, I explored Native American culture in fall units. Here are free printable totem pole design templates. http://www.papertotempoles.com/ Paper Totem Poles is a bright, colorful website devoted to the making of totem pole designs. This site is full of historical information about Native American Indians, cultural details and information on religious observations of which the totem pole plays an important part. This website is loaded with free printable Native American Indian totem poles designs, templates, how-to-draw, images and explanation. Teachers, parents and homeschoolers will find not only many great free printable totem pole crafts, but information about the totem pole. This resource will be very helpful to the teacher planning a unit on native American Indian culture. To make a paper totem pole craft with students, print paper totem pole templates and have kids color them. Then they can glue the colored pictures on recycled cardboard paper towel tubes. The arrangement and order of the animals on the totem pole is important in Native American Indian culture. The animals form a hierarchy. The animals also represent the guiding spirits of each native clan or tribe. http://www.papertotempoles.com/ teaches students how to arrange animal images on the totem pole. While animals are important totem pole elements, Paper Totem Pole has other categories of native designs: celestial, birds, spirit, people, water, elements and insects. Please enjoy your exploration of Native American Indians; I have more happy memories of my time in the Tlinget tribes than I could ever relate in words.